Do you expect another megamix with as many tunes as possible filled into two hours? Or do you expect another Top 20 radioshow of the best tracks of this year? What? Nothing from that all? Then you’re right here! 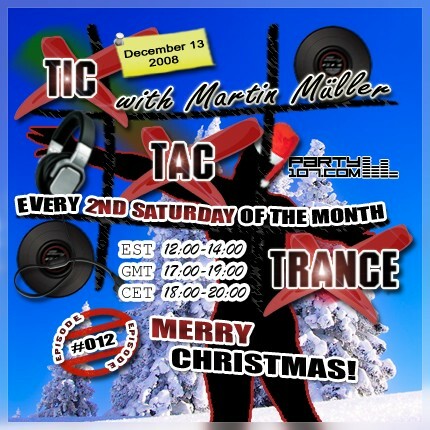 My next episode of Tic Tac Trance on December 13 will feature my current favorite progressive and uplifting tracks of this and the last month, plus a special introduction-edit for the second hour of the show. Of course, like always, the webvote winner of the previous show will be spinned aswell. So be sure to not miss the show! My show will start on TODAY at 18 CET / 17 GMT / 12 EST. Check out your local time HERE!